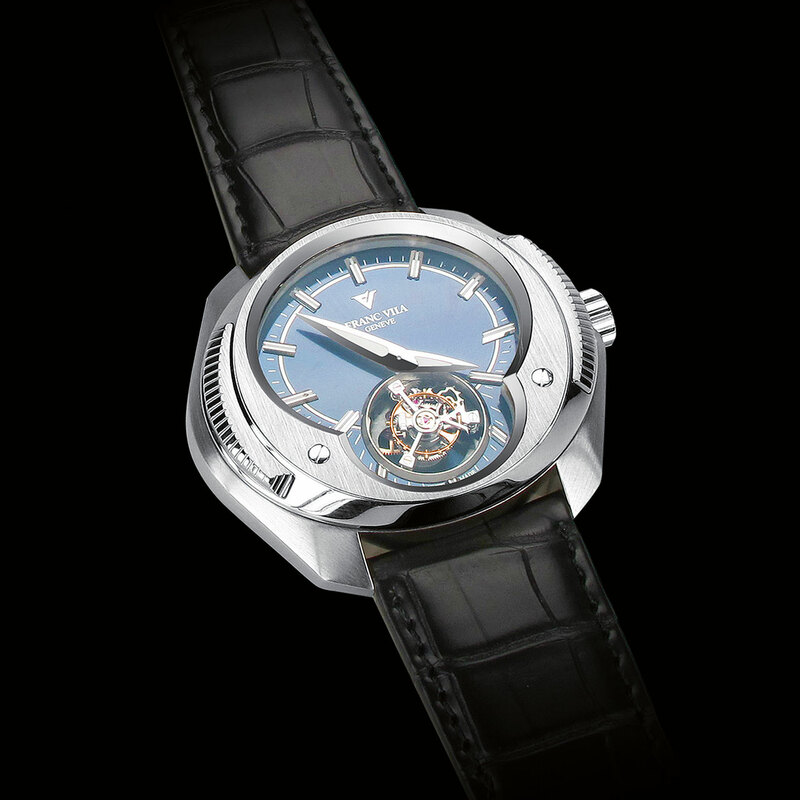 This flying tourbillon combined with a minute repeater is distinguished by characteristics that are unique in their kind – starting with the choice of platinum for the case and bezel. While admittedly very prestigious, this material is rarely used in this type of watch, since its density is considered not ideal for propagating sound. Small matter. His background in chemistry together with knowledge acquired over the past years enabled Franc Vila to solve the problem by combining alloys of varying density, both in making the case and the parts relating to the sound diffusion. Another original innovation is to have the minute repeater wound not by the traditional slidepiece, but instead by rotating the bezel. 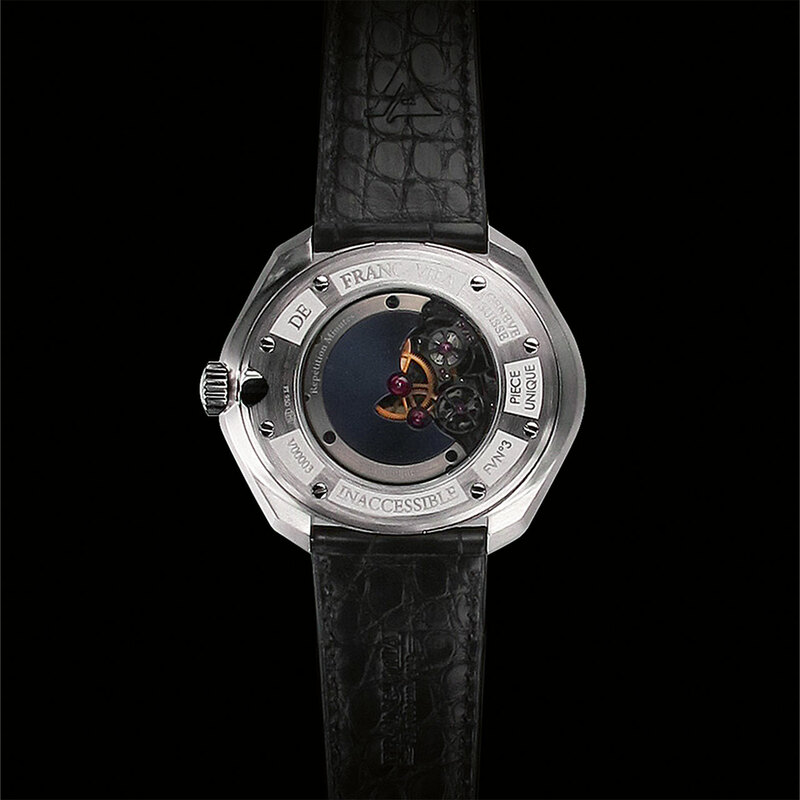 Each timepiece is unique.